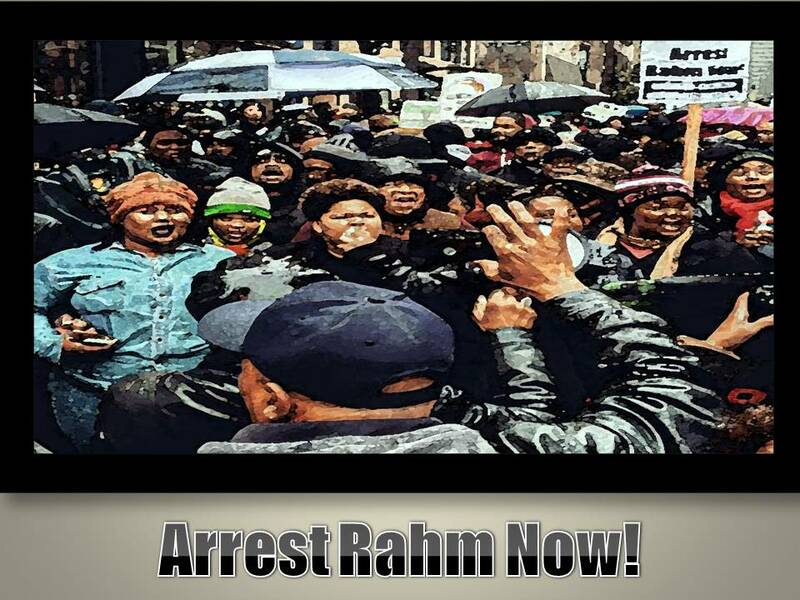 Rahm Emanuel misinterprets public restraint for tolerance of his self serving political corruption and indifference that ignores a culture of police misconduct. Long ago a judge told me, “Credibility is like your virginity, you only lose it once.” It’s a truism that suggests Chicagoan’s have little reason to trust Police Superintendent Garry McCarthy, Cook County State’s Attorney Anita Alvarez and particularly Mayor Rahm Emanuel. Their credibility is gone forever on the heels of allowing authorities to mislead the public while attempting to bury the video of yet another cop killing. Judicially forced to release the dashcam video which the city fought to keep from the public, it became apparent that Rahm Emanuel misinterprets public restraint for tolerance of his self serving political corruption and indifference that ignores a culture of police misconduct. Ultimately, the Mayor’s misjudgment ends poorly for the city simply because restraint has limits that tolerance, otherwise accepts. The Mayor’s press conference projected a serious underestimation of a restrained public that knows they’re being deceived—one look at the video calls for an indictment. Asking Chicagoan’s to accept the mayor’s willful blindness with explanations that defy credibility—Rahm claimed he hadn’t seen the video despite the City paying out $5 million to the teen’s family in April—is politically self-serving. The mayor either breached his public duty by authorizing payment to the family without knowing the justification and viewing the video or, he just lied—it doesn’t really matter at this point, Rahm needs to go! Without changed leadership that includes the very people holding the press conference—the fuse of the City burns towards an avoidable disaster that should never happen. 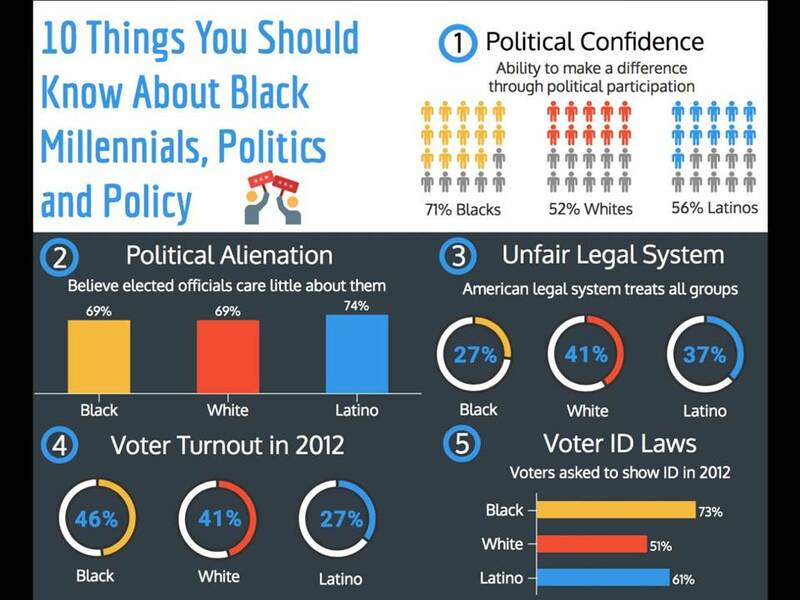 “I believe [Emanuel] will say whatever he needs to help his image” Maximillian Boykin, a community organizer with Black Youth Project 100 (BYP 100) told journalist Allison Lyke. Rarely is power ever relinquished through incumbent wisdom and predictably Rahm’s a little too smart for his own good and ours. The facts that finally led to that press conference seem likely to become even more expensive and dangerous for the city. Particularly, if Alvarez fails to vigorously prosecute Van Dyke and succeed, which should be a concern. Sooner or later, Chicago catches fire with rage from the steady indifference that mistakes restraint for tolerance. The poor acting, insincerity, arrogance and glaring disconnect portrayed during Tuesday’s press conference suggests that a worst case scenario looms. 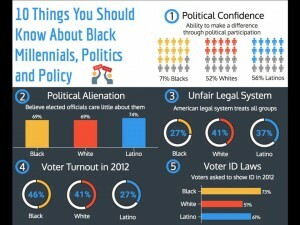 There are solutions which might avert this eventual disaster, but they require the actions of third-parties—the Urban League, U.S. Department of Justice and Federal courts. As of this moment, “amazing restraint” has been shown by Chicagoan’s in the face of a choreographed press conference, in which Emanuel, Alvarez and McCarthy each insult the collective intelligence of an entire city. Cynically, some Chicagoan’s doubt the decision to prosecute would have ever happened, but for a lawsuit and judicial order mandating release of the dashcam video authorities had fought to keep from the public for more than a year. Don’t dismiss the fact that Van Dyke remained on the city payroll up until the day of the press conference—seven months after the $5 million pay out to McDonald’s family. “The Mayor has proven on multiple occasions that he is more worried about property, money and his image than the safety of black people in this city” said Boykin, who constantly sees young people stopped and frisked by police officers on an over-policed block in Washington Park where he lives. Chicagoan’s restraint has been amazing for many reasons. To begin, attempting to deflect responsibility for the probable outrage the Mayor justifiably feared seems like provocation enough—his claiming not to have seen the video isn’t just self serving, it’s infuriating. “Everything we know now, the city knew from Day One,” said journalist Jamie Kalven who, along with Craig Futterman and an unknown whistleblower, should be credited with overcoming the fabricated narrative and systemic conspiracy to cover up the story. The Mayor’s suggestion that Van Dyke does not represent the police department is insulting. Chicagoans have endured more than their share of systemic violence and top down corruption. “From the cops on the scene to the highest levels of government, they responded by circling the wagons and by fabricating a narrative that they knew was completely false,” said Kalven. 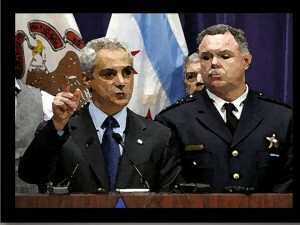 Then, in front of the camera, Rahm Emanuel stood mouthing trivial press conference lip-service while endorsing a police department that stood and watched as Van Dyke emptied his weapon into a 17 year old boy. Some officers helped to conceal the crime while all remained silent. Yes, the public’s restraint has been amazing in the face of such provocation. Anita Alvarez’s arrogant attempt to explain away the circumstances for their prosecution delay was offensive, as if the public is unqualified to interpret the brazen indifference to human life revealed in the video. The public doesn’t need to have prosecuted police misconduct for 30 years to determine—in one viewing of the video—whether each and every element of the alleged crime was met beyond a reasonable doubt. We are the jury! Chicagoan’s restraint has been amazing in the face of Alvarez’s neglect to identify and vigorously pursue the four police officers who, on the day of the incident, spent three hours with the deleted Burger King video surveillance footage. Circumstantial evidence is enough—they too must be brought to justice. What we do know about the footage that disappeared is that it would have shown who else was there and which officers actively participated in furtherance of the conspiracy. The public has every right to speculate about what the erased 86 minutes of video surveillance might have shown. Alvarez’s failure to identify and prosecute those four officers is an act in furtherance of that very same conspiracy and is part of the systemic violence that is sure to continue. Urban League’s interim president and CEO Shari Runner already called for the firing of Police Superintendent Garry McCarthy but they should also be calling for recusal of Anita Alvarez and filing a lawsuit to begin a recall election of the Mayor himself. A simple timeline makes clear that the suppression of information about this case carried the type of political liability that might had Jesus “Chuy” Garcia defeating Rahm Emanuel in the April runoff election. Both the Tribune’s John Kass and Chuy Garcia seem to agree that it would have made a difference. In fact, the Urban League should be asking the U.S. Department of Justice to fully investigate the top down conspiracy that is glaringly inferred from the press conference and the circumstances that led to what has become a profound moment of restraint for an entire city. What reasons, if any, do Chicagoan’s have to ignore a decade in which 7,000 people were subjected to the same police culture that maintained an “off-the-books interrogation warehouse” at Homan Square? Why would Chicagoan’s accept Rahm Emanuel’s assertion that “Jason Van Dyke does not represent the police department?” Aren’t the 56,361 allegations of misconduct against Chicago police department officers and 20 ignored complaints against Jason Van Dyke alone, enough reason for Emanuel to publicly terminate Superintendent McCarthy who, in fact, represents the police department? The city had already paid out $500,000.00 for the previous misconduct of Jason Van Dyke. He is the product of a police culture that led him to brazenly think he could unload his firearm into a 17 year old lying in the middle of Pulaski Road in front of motorists and eight other officers. Knowing the official account of Luquan McDonald’s murder was always a false narrative contradicted by the video, why would Chicagoan’s listen to Mayor Emanuel knowing nothing will change while he remains? Should Chicagoan’s accept Anita Alvarez’s reason to delay arrest of a known murderer so that her office could possibly make a joint announcement on their decisions? Wasn’t public safety her first priority—Jason Van Dyke is a murderer! We don’t need a jury verdict to confirm that in advance of removing him from the payroll and society. How can Chicagoan’s listen to Anita Alvarez minimize her public responsibility, arrogantly rattle on about how complex police prosecutions are, when she knew we’d see the video authorities attempted to prevent releasing? Does she need to experience the rage she ignites from speaking to the public like imbeciles—her disconnect is profound. What Chicagoan’s needed to hear from Anita Alvarez is that every police officer that failed to render aid to McDonald at the scene and every officer who stood by and watched Van Dyke unload his weapon without reporting it as having witnessed a murder, was suspended. The entire city needed to hear from Anita Alvarez that she had identified the four police officers who went into the Burger King to delete the video footage and that she was bringing criminal conspiracy charges against each one by name. The City also needed to hear from Garry McCarthy that he had fired each of those officers. Why should Chicagoan’s trust the ramblings of McCarthy, Emanuel and then Alvarez, who after 13 months was placed under the bus to pacify the public with no real explanation of how they allowed Van Dyke to continue collecting a paycheck and failed to take any corrective action to address the deep corruption in Chicago’s police department. 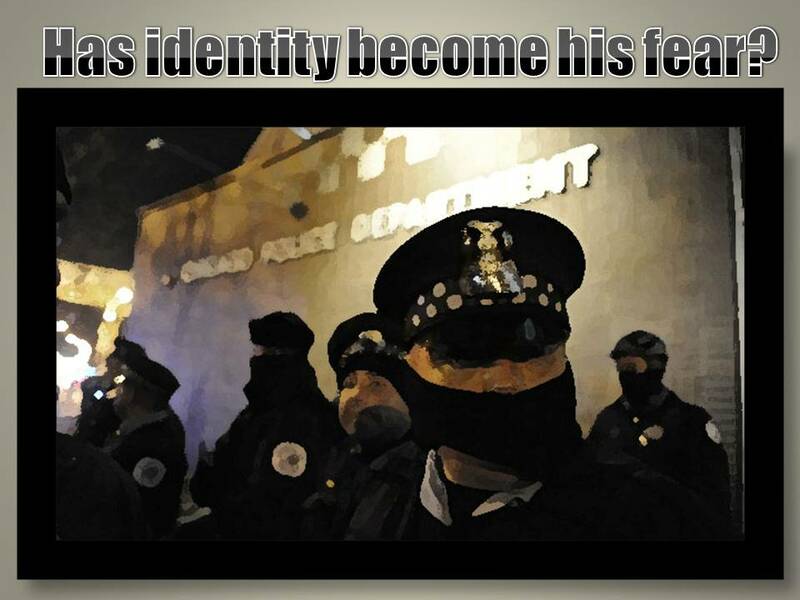 Not every member of the Chicago Police Department is a murderer, but every police officer represents the entire department which deserves the taint of Jason Van Dyke’s conduct for their silent acquiescence—they can’t have it both ways.